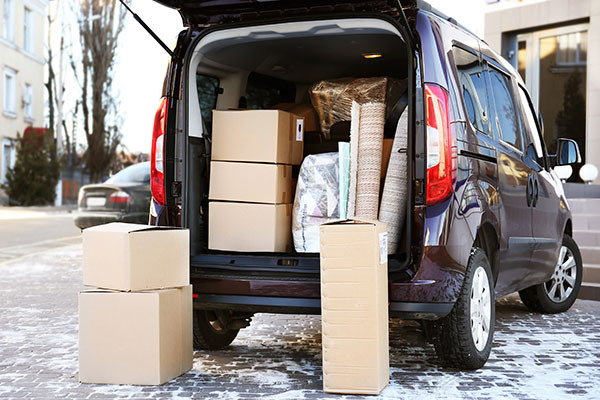 If you’re planning a big move, one part of the preparation that may have you stumped is the most affordable and convenient way to transport your vehicle to your new destination. There are several options available to assist you with transporting your car, so it can be tough to weigh the pros and cons of each service and determine what’s best for your situation. The experts at MovingAddresses.org know the struggle of choosing the best car transportation option when moving, so we’ve compiled the top five options. After reviewing these popular and expedient options, you’ll be well on your way to deciding how you’d like to get your car to your new destination. Drive it yourself – If you have someone else to drive your moving truck, you may decide to simply drive your car to your new destination on your own. This is a great option if a family member or a friend is in charge of your moving truck for the long drive, anyway. Keep in mind, a long commute to your new destination will cost you extra gas money for your vehicle and will add mileage and wear and tear to your car. The team at MovingAddresses.org recommends driving your vehicle yourself if you want to enjoy a good road trip and can take the time to appreciate the scenery along the way. Hire an auto transportation service – There are many services that use semi-trucks and haulers to transport vehicles from one destination to another. You probably see these trucks on highways all the time, and many of them have good reputations for being on time and careful. It eliminates the time wasted when driving your own vehicle and makes the transportation convenient. However, the experts at MovingAddresses.org warn that accidents can happen, and you should be prepared for the service to possibly be late delivering your vehicle due to traffic or unforeseen circumstances along the way. These services can also be pricey depending upon where you need the vehicle delivered. Hitch it to your moving truck – If you have a moving truck or another vehicle with a hitch, you may consider hitching your car onto it for the transport. If you already own the hitch and all materials to make a safe connection, this option can save you money. Depending on how you hitch the vehicle, it may still put wear on the car’s tires, but you won’t be adding any mileage or filling the car up with gas for the transport. The group at MovingAddresses.org recommends this option if you’ve already had experience driving a car with a load attached. A road trip can be dangerous if you’re not used to driving with a hitched vehicle, and it can make for a long and anxious drive if you don’t feel confident with the haul. Book a cargo container or a train – If you’re facing a move that’s across the country or even overseas, your options may be limited. Driving or hitching the car may not be an option, so you should consider cargo containers on ships or train cars. These options can be expensive, but if you’re set on keeping your current vehicle, you may not have many other choices. There are several companies that offer these services, so you should be able to shop around for one that has a good price, a reasonable contract, a convenient delivery date and a trustworthy reputation. Hire a professional driver – If you’re not a big fan of taking a road trip and don’t want to have your car hauled to the new destination, there are professional drivers that can transport your car for you. These drivers are usually reliable and can give you a concrete delivery date and a time. The team of experts at MovingAddresses.org recommends reading through the agreement cautiously before signing so you know what to expect if there’s an accident or a substantial delay in delivery. This option will save your own time on the road, but remember that your car will still be subject to the extra mileage and wear and tear.